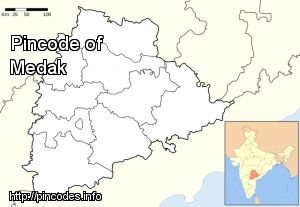 Medak is located at 18.03°N 78.27°E﻿ / 18.03; 78.27. It has an average elevation of 442 meters (1450 feet). Sunil, hailing from Medak district of Telangana, was working as a night auditor in the hospitality industry in Atlantic City.